Lunchtime for this hungry girl! This is my lunch today! A big salad with peppers, cucumbers, carrots, sugar snaps, cherry tomatoes, greens, and sunflower seeds! Most ingredients are local… All are organic! 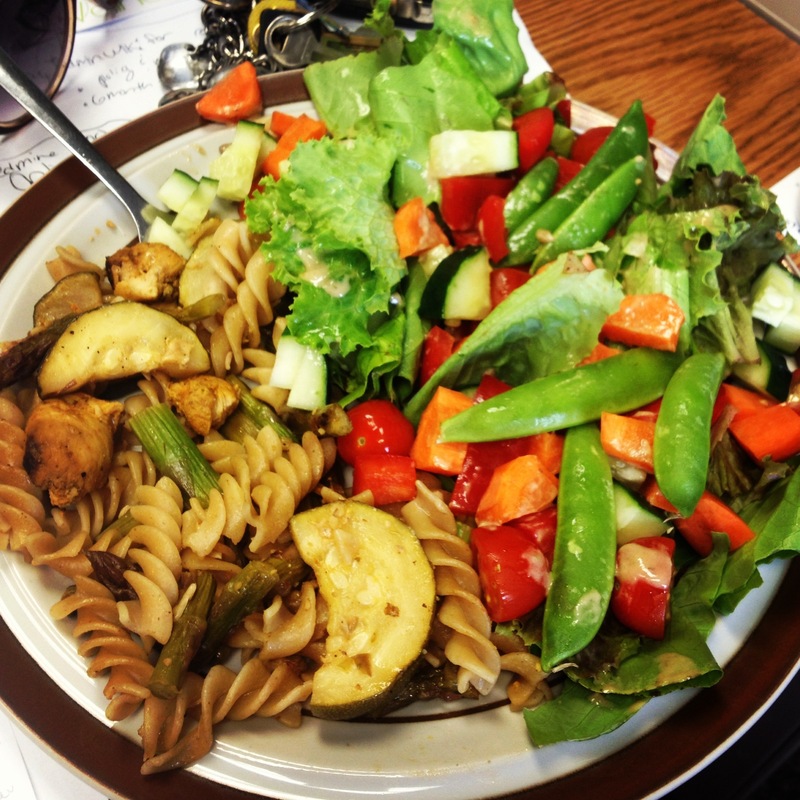 Pasta is leftovers from the weekend – fuseli, asparagus, zucchini, garlic, curried chicken, and lemon juice! This is the perfect lunch – filling, fresh, and flavorful! This is my lunch. 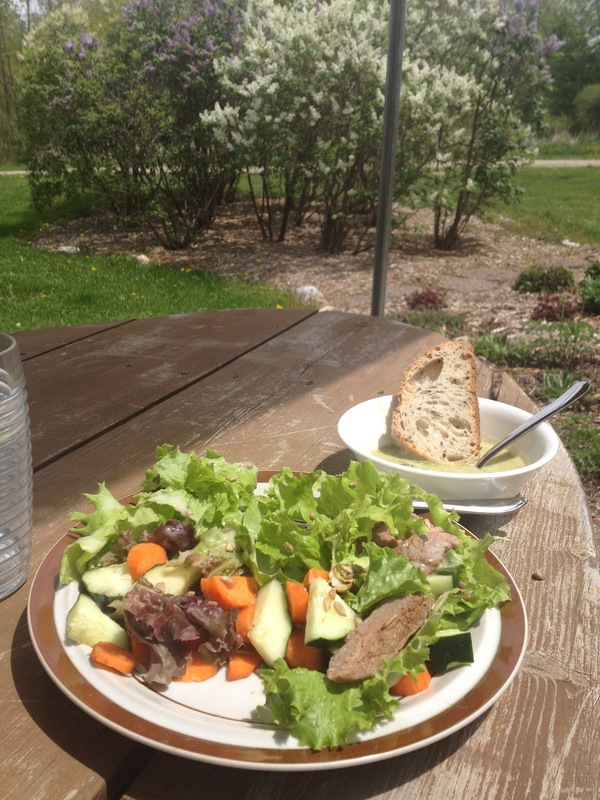 Yesterday the office set up our outdoor patio – so now I can enjoy my yummy food outside! I feel really lucky that I work for a place that offers so many benefits – a beautiful office setting, a fully stocked kitchen, awesome supplements, and a great team to work with. Today I bought in salad ingredients – local carrots and greens, an organic cucumber, some grass-fed sirloin, and some raw sunflower seeds – delicious! And surprise!!! A coworker made some asparagus soup to share and a loaf of fresh made bread… Yummy yummy in my tummy!